Balanced Storytelling Makes Rain Dogs a Joy to Read. 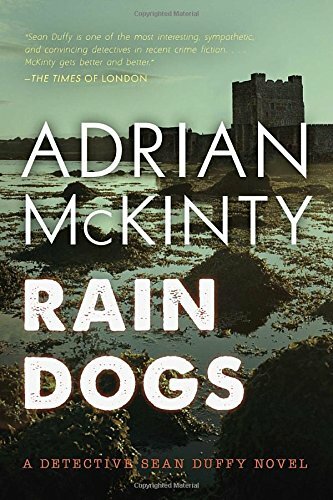 The word that comes to mind when pondering Adrian McKinty’s Rain Dogs is balance. A cop story, for sure, McKinty’s 17th book is that and more. The story opens with Detective Sean Duffy’s girlfriend, Beth, leaving him amidst his investigation into the apparent suicide of a young journalist named Lily Bigelow at Carrickfergus Castle. 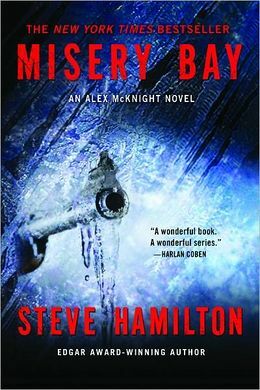 McKinty was born and raised in Carrickfergus, Northern Ireland, and details of the setting flow naturally, as would be expected. As the story unfolds, Duffy uncovers some unseemly details at Kinkaid, a home for boys, and as the story comes to a close, McKinty deftly ties the various threads of the story together, including the return of Beth. However, even as Duffy and his crew’s suspicions and clues lead them from suicide to murder, from one suspect to another, the cops can’t quite close the deal – which leads to another death… or murder, perhaps. With the circumstances of Duffy’s life and relationship changed, the next steps are less certain than they otherwise might have been, which, of course, perfectly sets up the 18th book. Whether it be in the interplay between dialogue and description or plot construction and character development, McKinty always seems to deliver a pleasing balance that satisfies. Well done. Dave Moyer is a school superintendent in Illinois, and is the author of Life and Life Only: A Novel. M.P. 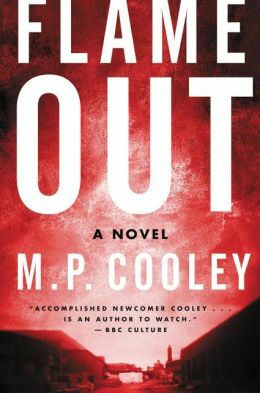 Cooley’s second novel Flame Out features police officer and former FBI agent, June Lyons. When an old apparel factory burns down, a body is discovered, which initially is thought to be that of former owner Bernie Lawler’s wife, Luisa, who was murdered and whose body was never recovered. 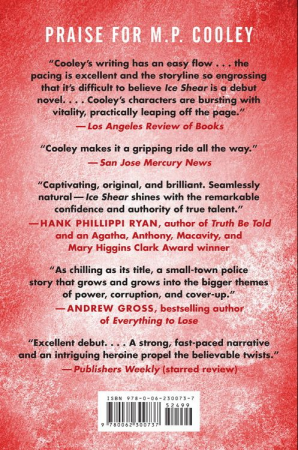 The incident takes the reader back to the original murder (covered in Cooley’s Ice Shear), which was originally investigated by June’s father. Flame Out starts with June flirting with the idea of returning to the FBI, and – about a third of the way through – her parents split and the characters’ subsequent complicated relationships are introduced; something which does little to appreciably advance the story. A line toward the end, “You do not need to kill your mother’s killer. I already did,” based on context and delivery is an example of the generally good writing found in this novel. The plot is carefully constructed and the story is told almost exclusively in dialogue. This can be a plus or a minus, depending on the reader. This reviewer would have preferred a bit more variety in the telling. Flame Out starts out with a great deal of promise, but mostly smolders. It is a good book; unfortunately, it is not a great one. Recommended, based on the author’s potential. Dave Moyer is an education administrator in Illinois, and is the author of Life and Life Only: A Novel. 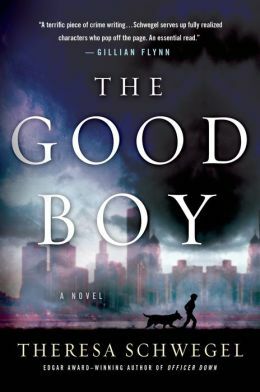 The Good Boy is Theresa Schwegel’s fifth novel. The Chicago native won the Edgar Award for Best First Novel for Officer Down. In her latest, Officer Pete Murphy and his partner, the dog Butchie, get caught up in a traffic stop gone bad that involves bad people with whom he has a not-so-pleasant past. This leads to a police cover up, revelations of an alleged affair between Pete and a judge he was assigned to protect during an ugly trial, and a civil suit against him. Pete’s strained marriage and problem child daughter, McKenna, take center stage soon enough, and before one can say, “Freeze,” Joel – Pete’s young son, takes Butchie on an escapade related to McKenna’s shenanigans. This compulsive act takes him through virtually every Chicago neighborhood as he becomes mired in the middle of a revenge plot against Pete. It seems that most contemporary novels requite some form of family dysfunction and troubled children, so that formulaic prerequisite aside, the writing is pretty good. However, despite being well constructed, the plot fails to be compelling enough to make this more than a run-of-the-mill cop story. This being said, readers who favor stories of this genre will likely find it to be an enjoyable read. Longtime fans of author Schwegel – used to reading her award winning caliber books may, however, be disappointed in this C-level release. A review copy was provided by the publisher. Dave Moyer is an education administrator and the author of Life and Life Only: A Novel.